Jordan’s King Abdullah II reportedly said that alongside Muslim radicals like the Islamic State, there also exist Zionist extremists, and that countries looking to fight extremism must recognize it in their midst. 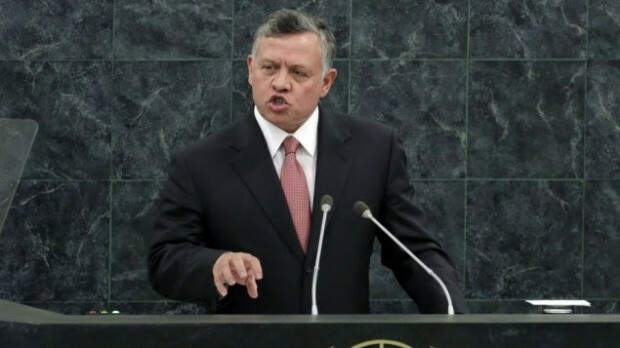 A Jordanian source, cited by a Jordanian newspaper, was present at a meeting between the monarch and Jordanian MPs, in which he made the comments while speaking about Jordan’s efforts to battle extremists in Jordan and the country’s involvement in a US-led coalition to fight the Islamic State in Syria and Iraq, according to Israel Radio. Abdullah told the MPs that even if the military portion of the war on extremism is relatively short, it could take 10 or 15 years to overcome extremist ideologies in the region, according to the source. The king also said he opposed Jordan playing a military role in Syria and Iraq.